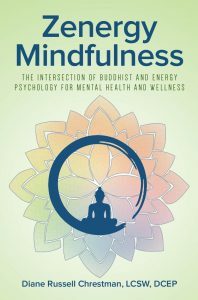 By Diane Chrestman, LCSW, DCEP, Author of Zenergy Mindfulness: The Intersection of Buddhist and Energy Psychology for Mental Health and Wellness. Website www.authentic-life.net. Meditation and mindfulness are two mental health treatment modalities that fall under the umbrella of Buddhist Psychology. But there are many more. Buddhism could be re-designated from a world religion to a theory of psychology. Core teachings of Buddhism helps us understand and alleviate suffering. Sounds like psychology to me!! Buddhist psychology assimilates easily into psychotherapy to help clients have insights regarding maladaptive emotional, cognitive and behavioral patterns, and how to respond to these conditions more skillfully to reduce our pain and suffering. 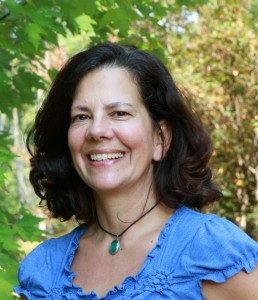 I evolved into a Buddhist Psychotherapist through the years because I find that Buddhist teachings are easy to understand and provide effective treatment planning. The insights into the nature of a human being, with our ever changing, and often irrational thoughts and feelings is relatable. Our irrational minds and emotions may not be easy to fix, but at least we have understanding and wisdom about said irrational minds and emotions. As we develop insights about our problems we learn how to respond in an adaptive manner as opposed to maladaptive manner. I also appreciate Buddhist psychology because it expresses our experiences through the lens of a human being as opposed to a lens of clinical diagnosis and pathology. There is a place for the clinical lens. The brain is an organ after all and while there is still much uncharted territory, scientific research is helping us to understand the field of psychology with greater precision. However, when a client comes to therapy, at least in my practice, most of the time it is because life has become unmanageable. These clients benefit, in my opinion, more from the insights of Buddhist psychology than a diagnosis from the DSM-V, and the treatment modalities that follow. Buddhist informed interventions might be entirely the wrong approach for the client who is so ill that they require stabilization from a mental health emergency clinic. A more clinical approach, such as psychotropic medication might very well be more effective treatment option in life or death circumstances. A very important aspect of the clinical process is the treatment plan, which defines how a client can begin making small changes to emotional, behavioral and cognitive patterns in order to reach the treatment goals. Change begins by cultivating different responses in real time, in the real world, and very importantly, when those real-world triggers (think demanding boss, critical partner, unreliable friends) arise in our mind and heart. Right Action– Instead ofengaging in conditioned maladaptive thinking, behavioral or emotional patterns, investigate different behavioral patterns that support beneficial outcomes. Does the action you are considering supports wisdom, understanding, peace, and flexibility? If the action creates more suffering, ignorance, rigidness or is immoral, perhaps change course. A treatment plan may include one minor change that can be made the next time life seems unmanageable and we are triggered into repeating maladaptive responses. Instead of those old patterns, ask what is the right action? What encourages and cultivates a sense of peace and well-being in your heart and mind and in your environment. Right action could start with something as simple as changing an aspect of non-verbal communication such as the tone of your voice to sound less aggressive or sitting up taller to convey more assertiveness. Right Effort –Maladaptive emotional, thinking and behavioral patterns have usually been habituated for years with thoughts and actions. There is a web of neural connections that support the habits that are hurting you. Those connections can be broken, but it does take time and effort. What is the right effort to change a habit? This depends on many factors such as your personality, your motivation, and your support systems. An element that is contained in any growth process is an ability to tolerate discomfort. When an urge arises, we must stay with the discomfort as opposed to run from it. This is right effort. Our attachment to maladaptive patterns is very often supported by the ego. The more we think and believe “I am this or that”, “I deserve/don’t deserve this or that”, “I can’t this or that”, the ego is evolved. The ego is sneaky and cunning and often cultivates maladaptive patterns in a way that is unconscious to the conscious mind. That is one benefit one may realize from meditation. They begin to see these subtle manifestations of the ego and how it shapes our deepest sense of self. The Nature of Impermanence – Everything is impermanent including our thoughts, emotions, health, beauty, job, position, reputation and relationships. Sometimes the nature of impermanence results in sudden, life changing experiences. At other times conditions are changing at an imperceptible slow pace. My personal favorite is to see the impermeant nature of my likes and dislikes. My likes become dislikes and my dislikes become likes. What we like and dislike constantly conditions states of clinging and longing or frustration/anger/aversion. How can we apply the insight of impermanence benefit mental health? The awareness of impermanence helps clients to learn to tolerate discomfort. Unhealthy behavioral, emotional or cognitive responses are driven by likes and dislikes. We desire something because we like it. If we can see the urge as an impermanent condition of “liking”, we distance ourselves from the urge, and the habituation becomes less intense. Ego– Buddhist Psychology and Western Psychology view the ego very differently. In Western psychotherapy the therapist strives to identify and change aspects of the client’s ego or sense of self. The therapist assists the client to sculpt the egoic sense of self to adopt healthy self-concepts. In Buddhist Psychology, the task is more aligned with an attempt to annihilate the ego. The premise is when there is no longer ego, there is no longer suffering. That is because our ego is the fountain from which clinging and aversion flows. If we can stop the constant flow of clinging and aversion, we are free from suffering. This is not to say we will not have preferences. We recognize our preferences but distance ourselves from the perception that our preferences are conditions for our joy and peace.